This seems like a bad idea. They’re advertising this experience with movies like Jurassic World, The Martian and of course Star Wars: The Force Awakens. As Han Solo gets wet, so do you. As Chewbacca gets blown by wind, you can too. When Leia is attacked by bubbles, there will be bubbles! This feels like it is beyond immersive and novel and now in the territory of distracting. At a time when 3D is still more of an expensive gimmick than a necessity and D-Box is an optional, nauseating annoyance, 4DX seems to go one step too far. The cinema is supposed to be when a director and all others involved in a film can showcase their vision in a pitch-black, usually silent environment. What 4D does is not immerse you in the experience but actually remove from it. As a character is struggling to survive while drowning, you’ll be too busy screaming and squirming as you’re hit with water or as a desperate man confesses his love on a rubbish tip, you’ll be trying to stop yourself gagging from the smell. Like 3D, this also feels like it will be an added feature. I can’t imagine Steven Spielberg, Christopher Nolan or Martin Scorcese directing a scene but adding the note “shoot bubbles at the audience now.” This means it will be down to some cinema employee who will be over-using the technology to justify the high price. That is the final complaint. The price will of course increase. D-Box in 3D is already £12.70 per ticket so you can imagine 4DX running at a much more inflated cost, maybe closer to £20 a ticket. That will be pretty steep, particularly when the novelty of the 4D wears off after twenty minutes and you just want to watch the movie as the creators intended. Won’t being soaked remove from the experience? 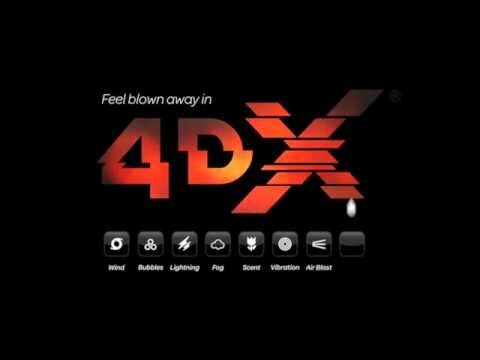 4DX is not a bad idea but should be used for theme parks and ride-style experiences. It shouldn’t be used over a 90 minute movie, where I leave the cinema smelling badly, soaked through and coughing from a fog machine. Overall, you can call it a money-making scheme or another attempt to increase the immersive cinema experience but 4DX is a poor idea. It will take away from the movie, distracting rather heightening and adding nothing more than a larger gap in your funds. Stay clear, most people will eventually. What’s wrong with the traditional way to watch movies? I remember reading about things they tried in the 50’s & 60s using odors during the movie. I found one link, but it’s pretty nasty if you ask me. I’ll have to share this when I get back to my computer; well said as always! Thanks for the reblog! Glad at least someone else agrees. Hope that it doesn’t become the “norm” like 3D slowly has. Sounds like a horrible idea…would not want to try something like that. Like you say this should only be available in theme parks. I think a lot of these wonderful new inventions that cinemas are coming out with now are purely for anti-piracy purposes (can’t record a 3d film etc) and a desperate attempt to get people to pay inflated prices. Completely agree with you. You never come away from a movie that has a gimmick and think that the gimmick has made it any better. You can’t help but feel like you’ve been robbed of some money, particularly when the 3D isn’t even incorporated into the movie properly. Previous Previous post: What If… Disney made horror movies? Next Next post: Is Alien: Covenant trying to wipe away Prometheus?